LoveSpoon Candles is a high quality, handmade soy candle company. Its name hails from the Welsh decoratively carved wooden spoon that was traditionally presented as the best wedding gift, ultimately symbolizing romantic intent. The spoon is normally decorated with symbols of love, and was intended to reflect the skill of the carver. Due to the intricate designs, LoveSpoons are no longer used as functioning spoons and are now decorative craft items that serve as wonderful housewarming gifts, wedding gifts, or gifts for women. Additionally, Lovespoon Candles are 100% soy and have wood or eco-wicks which are made of cotton. Soy Candles are known to be clean burning without the release of chemicals like traditional paraffin waxes. 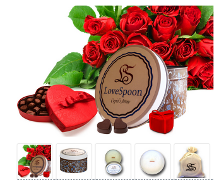 At LoveSpoon Candles you can choose from the Cornerstone Collection that encompass their decorative tins with wood wicks that burn with a crackling sound. Or you can select our elegant colored glass jar with a cotton eco-wick from their Monogram Series. I've always loved burning candles. For me, they are not just a way to make my house smell pretty. I love gazing into the flame and feeling the power of the element of fire. I use candles for magic and meditation just as much as I use them home decor. At LoveSpoon Candles, I found the perfect candles to suit all my needs. Their candles for made from pure soy and the finest oils. They come in a wide range of scents that are perfect for any occasion. Their unique varieties are great to have in the kitchen, but they also have some delightful combinations that would be wonderful for meditation. I got to try out the a Love Spell candle from the monogram collection. I was amazed to discover it smells exactly like my favorite body spray and lotion. I haven't met a man yet who can resist this scent, so it's the perfect way for any woman to cast a spell on her hubby this Valentine's Day. I have been burning the 8.5 oz jar candle for several hours over the last two days, and I've barely made a dent in it There is no black soot left behind when you blow out the flame, and the beautiful container is also worth a mention. It's purple color and elaborate design will make it a great place to store odds and ends once the candle has burned out. The Love Spell candle is only one of the scents you can choose from. There are dozes of other varieties available. 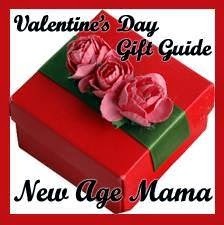 Some of their lines include Serenity Sensations, Exotic Essentials, and Decadent Desires, any of which would make a fun Valentine's Day gift. 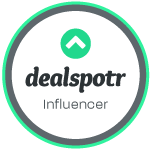 If you'd like to explore LoveSpoon and discover all the fabulous candles they offer, be sure to visit their website or follow them on their social media. I would like to try these candle. I love to have a candle burning at bathtime, it is so relaxing. 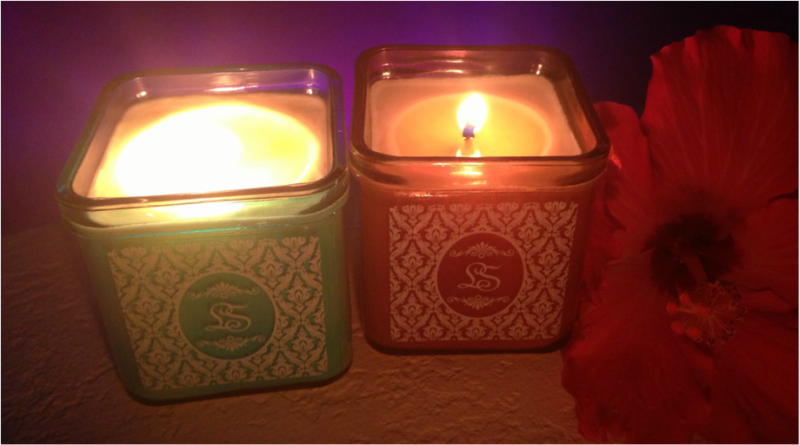 These sound amazing, I love candles and I really like that they are soy. These candles look very nice. Thanks for sharing!